Can Other Online Backup Vendors Compete Against Google? Will Google Drive Crush The Competition? I just saw a Facebook post yesterday by a friend mentioning that Google has commoditized the online backup industry with the launch of Google Drive. Google Drive is currently very new, so new that if you try to sign up they will tell you whether or not they have your account ready yet. If not, you can have them email you when it is. Since Google Drive is so new, and the website says so little about the specific features, we can only guess at this point exactly what features they will offer. 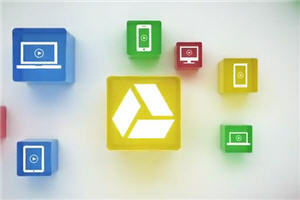 Judging by the name and the short blurbs about what Google Drive will do for you, we can presume that perhaps Google Drive will do no more than act as an online drive for you. Nothing new here. Free 5GB account? Nothing new here. Integration with GMail and Google Docs? Well, for people who use those services, they may have something here. Sharing and emailing files has always been problematic as file size for pictures and videos either went beyond email provider limits or it just simply bogged down your internet connection. This is all supposition for now, other than the free 5GB account. The site currently mentions (less than) $2.50 per month charge for an upgrade to 25GB. Surely this cannot be the end of it. Almost no paid service has a limit that low. One feature I did note about Google Drive was up to 30 days of revisions with the option to choose a revision to save permanently. Certainly, I would think, Google will add features as time goes by. And naturally with such limited information we cannot recommend or condemn the service. Will Google Drive be a game changer? Perhaps, but keep in mind that the advent of GMail did not shut down Yahoo Mail, Microsoft’s mail offerings and a slew of other lesser known free webmail providers. Some people are distrustful of Google already and even use that as a reason not to use GMail. Will that keep many from using Google Drive? I suspect so but of course have no idea in what numbers or percentages. Certainly we have seen this type of commoditization before when Microsoft launched their free Security Essentials anti-virus program. Now, traditional computer security firms are offering continual discounts – exacerbated by a poor economy, I imagine – and try to explain the value they add over the free offering from Microsoft. The bottom line, though, is that Microsoft has undoubtedly affected the “bottom line” of those other computer security firms. Currently, our answer is no. Evidence that by the different approach we have here at OnlineBackupSpot than many other Online Backup Review websites. Others will tout a #1 program without distinction. Here, though, we will tell you that we like a certain online backup service most for “unlimited online backup” or like another one most for “online backup smartphone integration“. We clearly emphasize that when it comes to online backup there is NOT a ONE SIZE FITS ALL solution. Can Google Inflict Pain On Other Online Backup Vendors? Without question Google can inflict pain on other online backup vendors. Since they are the king of search, Google can inflict pain on pretty much anyone they want, if they want to, without bettering them in the marketplace. Would they do that? Not our place to judge. What could come around, though, would be an anti-trust question from other online backup vendors who might try to suggest that Google will artificially direct online backup searches to their own product instead of competing vendors. Simply put, other online backup services can compete against Google by doing what Google does not (yet) do and making sure the market knows it. In our opinion there will be at least some time for quality online backup services to compete against Google Drive, just like many brick and mortar companies can thrive in spite of WalMart. Some of us here in the office will undoubtedly use Google Drive, too, at some level at least. Once they get the service up and running we will write a full review. In the meantime, don’t be unprotected waiting for Google Drive. Pick an online backup service that best meets your needs and get started now. Filed under Google Drive and tagged online backup commoditization.